Sooo, a crazy thing happened to me the other week. 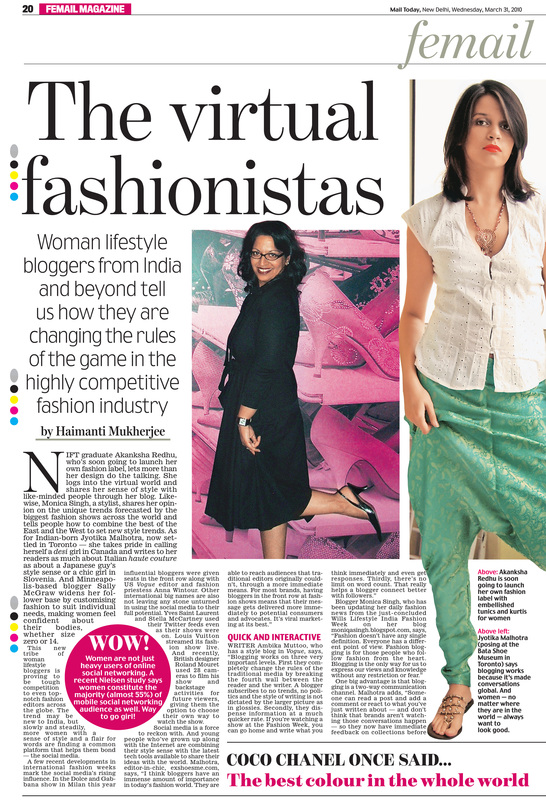 I was included in a feature article in a national daily in India! 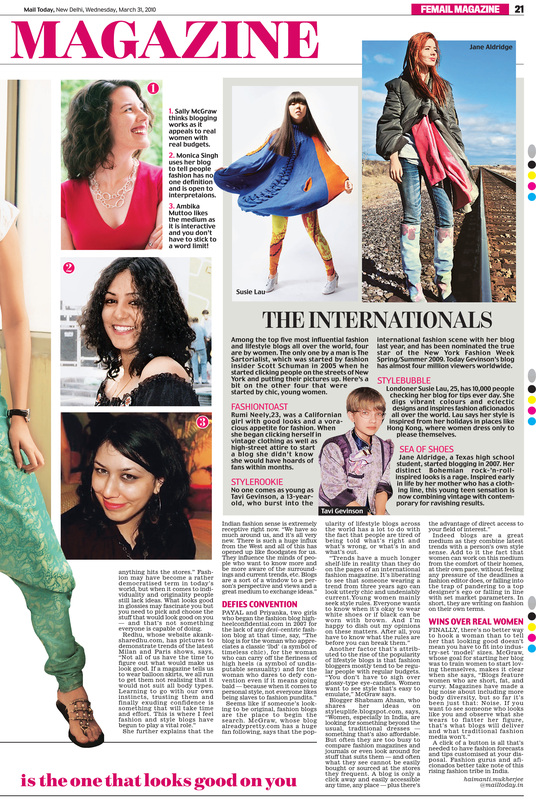 The piece, by Haimanti Mukherjee, takes a look at ﻿﻿lifestyle bloggers in the Motherland and beyond for the Mail Today – a paper featuring “News for the new Indian” – and part of The India Today Group. You can flip through the whole e-paper version here (it’s on pages 24-25), or click the images below for a larger view of the article. That's me (on the left) in Motherland media! Update April 7: The html version of the article is also on the India Today website.